It is our goal to make Catholic education available to all within a community of lifelong learners formed in faith, educated for excellence and sent to serve. As such, it is important to gain an understanding of how our families feel about our school. 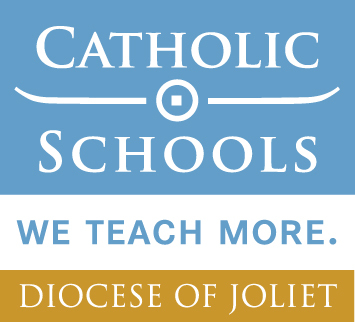 I graciously ask for your participation in a parent satisfaction survey administered by the Diocese of Joliet Catholic Schools Office (CSO) as it will help us to continue to provide excellence in Catholic education. Using a third party to perform, collect and analyze the data protects your anonymity, while allowing the CSO to create a central data repository required to assess local school and Diocesan-wide improvement areas. In exchange for your time to complete the survey, I assure you that I will share the results of the survey with you and if there are common themes expressed by the majority of our families, I will address action step(s) to alleviate concerns. Please click here to access the survey and complete it by April 16. It should take you no more than 10 or 15 minutes to complete. On behalf of our students, thank you for taking the time to have your voice heard. Your input will help us to better serve our children in the name of Jesus. Version en Espanol: Haga clic aqui.